2018-in-review: The return of the Trek fan film CROWD-FUNDER! Remember the good, old days? Back in 2015 and before, Star Trek fan film crowd-funders were as common as lens flares on a JJ Abrams movie set! They’d easily take in thousands, tens of thousands, and in some cases, hundreds of thousands of enthusiastically-donated fan contributions. We all know what happened. Axanar was sued. Six weeks later, Tommy Kraft was told by CBS to take down his $250K Kickstarter for Federation Rising. And then in June 2016, the fan film guidelines came out. And while they didn’t forbid crowd-funding, they did put a $50K cap on it and severely curtailed what kinds of perks could be offered. Fans (including me) predicted the complete demise of Star Trek fan films. It turned out that we were wrong. Fan films found a way to not only live on but also to prosper, working within the guidelines (mostly) while still being pretty decent—in some cases even quite excellent. Ah, but crowd-funding…therein lied the rub! While the days of the six-figure Kickstarters and Indiegogos for Trek fan films were obviously gone, maybe fans would still donate five-figures or even just four-figures. Maybe? For a while, it wasn’t looking good. For the remainder of 2016, only Renegades (with Star Trek surgically removed) attempted a crowd-funding campaign for “The Requiem” (reaching $146K). 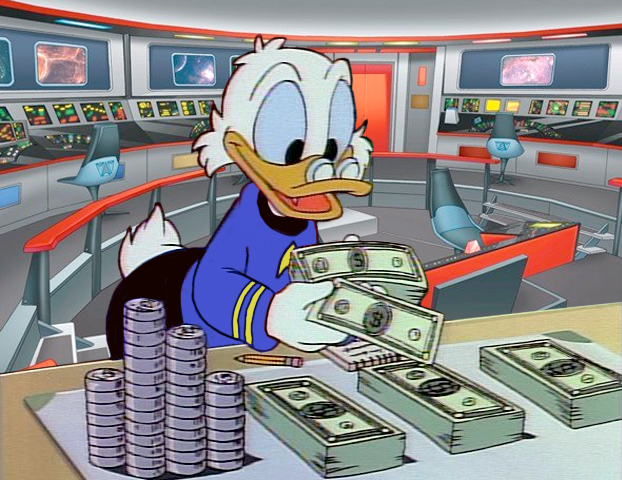 And Starbase Studios raised $3,500 for a move from Oklahoma to Arkansas for their TOS sets. 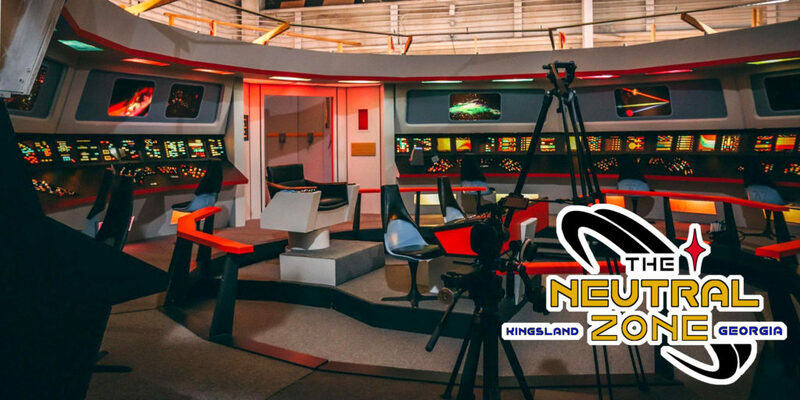 But beyond that, the only crowd-funding even peripherally connected to Star Trek fan films was a $19K successful Kickstarter by Star Trek: Horizon creator Tommy Kraft to fund his NON-Star Trek fan film Runaway. Author Jonathan LanePosted on December 31, 2018 December 31, 2018 Categories Crowd-Funding Blogs, Editorials, Fan Film FeaturesTags Crowd-funding campaign12 Comments on 2018-in-review: The return of the Trek fan film CROWD-FUNDER! It’s gonna be a NAIL-BITER for SKY FIGHTER!!! I have to be honest with you guys: I didn’t think it was gonna happen. 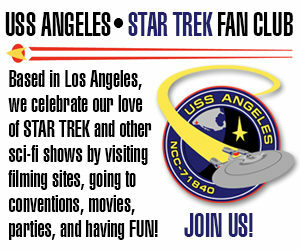 With many recent crowd-funding campaigns for Trek fan films clawing their way to $10K (if that! ), how was a NON-Star Trek fan film by a first-time director gonna possibly take in $25,000??? 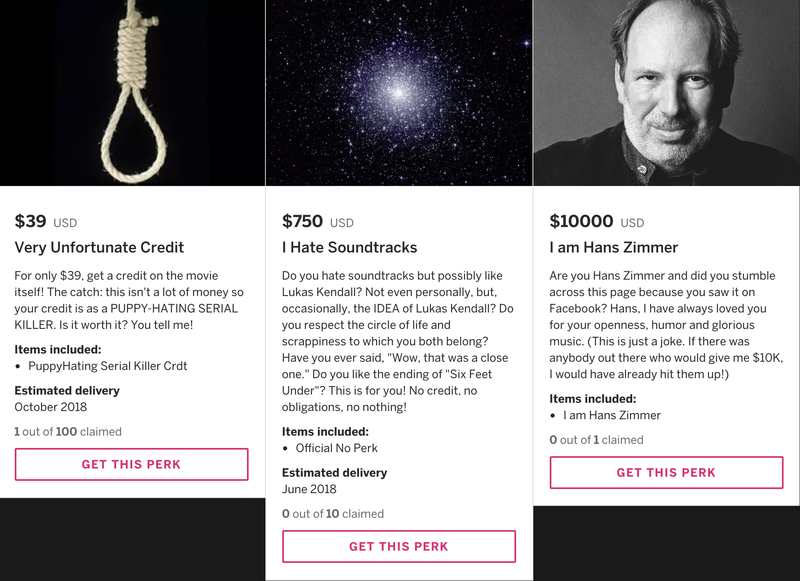 And beyond that, SKY FIGHTER‘s writer/director LUKAS KENDALL had selected the all-or-nothing “Fixed Goal” option on Indiegogo, where if you don’t reach your goal, you get NOTHING (just like on Kickstarter). I mean, who does that???? If you’re gonna use Indiegogo, at least choose the “Flex Goal” option and keep whatever you raise, regardless of how much or how little. But as Lukas told me in this interview, he was going all in…$25K or bust!!! 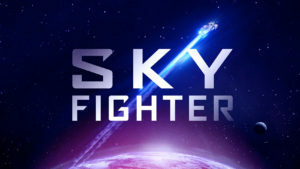 I was also curious about Lukas’ somewhat unorthodox approach, including posting his complete script for the Sky Fighter short film for anyone to read, using a lot of tongue-in-cheek humor to describe himself and his project, and including among his perks certain ones that seemed a bit (purposefully) outrageous. Would this work? Could this work? The answer may just turn out to be YES, but it’s gonna be SUPER-CLOSE! With just two days left (the campaign ends this Thursday at midnight Pacific Time), the Sky Fighter Indiegogo is nearly 90% of the way to its $25,000 goal.. at $22,248 as I type this. 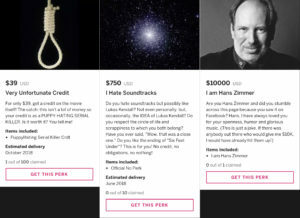 Lukas, who gained a following producing CD collections of popular science fiction TV and movie scores, has been relying on those same followers for a lot of his donor support, and it’s certainly been working. Among his most popular perks are the “Best of Both Worlds” signed CD ($20 + shipping), the Return to Tomorrow – Making of ST:TMP book ($35 + shipping), and especially the Star Trek TOS CD box set & 50th Anniversary 4 CD set ($199, free shipping). That latter bundle saves people around $100. There is eve a weekend on Martha’s Vinyard for $1,000 where you get to spend a Friday-Sunday in August with Lukas Kendall’s MOTHER! She’ll even take you out for dinner on Saturday night. (I told you there were some outrageous perks.) Donate $1,000 and you get to go through Lukas’ crap in the basement! THE ROMULAN WAR releases NEW VIDEO showing CGI model tests! The extension has proven to be a real blessing, as the total raised has increased by nearly $2,000 in just six days to (as I write this) $7,785 from 66 backers…just 22% away from being fully funded. Mark agreed, and the first special feature was posted to the public earlier this week. It shows some CGI model tests for a few of the NX-era starships, Roumlan ships, Federation vessels, and space stations that will be appearing in this fan film. 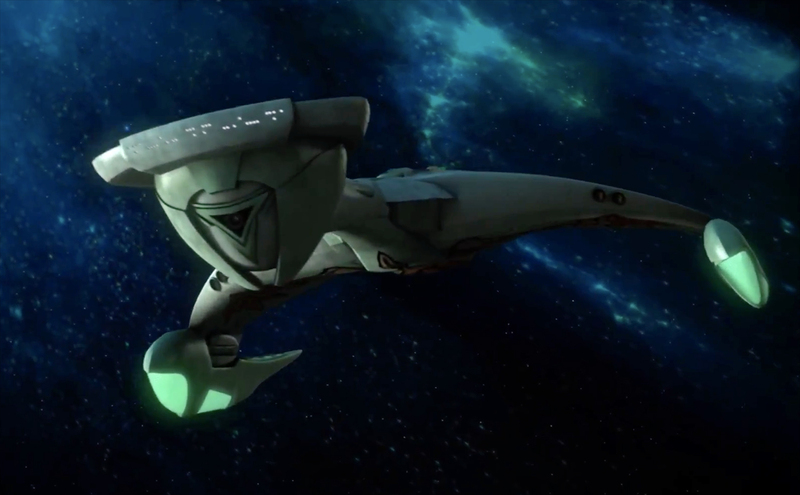 It also shows the mysterious Stormbird-class flying by…looking very much like a Klingon D-7. How did the Romulans and Klingons come to use such similar designs a century before Romulans started using Klingon designs? Mark actually answered that question in this awesome chat/interview we had a few weeks ago. Take a listen if you haven’t already. Meanwhile, the video of the fly-bys looks AMAZING (see below). And what blows my mind most of all is that these aren’t even close to final sequences…they’re just test renderings! The finished VFX are, I’m told, going to look even better…incredibly better, in fact. Click here to learn more and (if you can) to donate. I get a lot of requests to cover crowd-funding campaigns for fan films here on this blog. Many of those requests I politely decline because the projects have no connection to Star Trek, which is where I focus most of my attention. 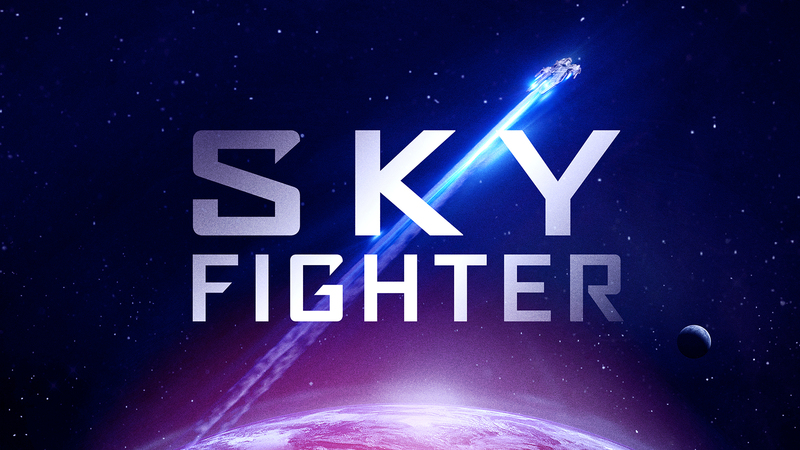 So why did I decide to feature a non-Star Trek fan project like SKY FIGHTER? Well, there actually is a connection to both Star Trek and Trek fan films. First, show-runner LUKAS KENDALL produced many of the Star Trek music compilations on CD over the years. And second, Lukas is a close friend of ROBERT MEYER BURNETT and tapped him to edit the final Sky Fighter short film. Rob, as many of you know, was the editor of the highly popular Prelude to Axanar fan film and was, until recently, slated to direct the remaining two episodes of the Axanar trilogy. 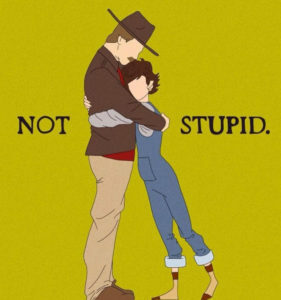 But that wasn’t the only thing that intrigued me enough to want to bring this new Indiegogo campaign to your attention. But it wasn’t just the humor that got my attention. Lukas also made the unusual decision to post his entire script for the short film for all to read (rather than keeping it secret, as most productions to). And it’s definitely worth reading, folks—I was very impressed. Also, the short film is a “proof-of-concept” that will apparently lead to a full-length feature…and there is already an offer on the table! And last but not least, this $25,000 Indiegogo is an all-or-nothing Fixed Goal campaign…meaning it either makes the goal or the production gets nothing (which is usually the caae for Kickstarter). 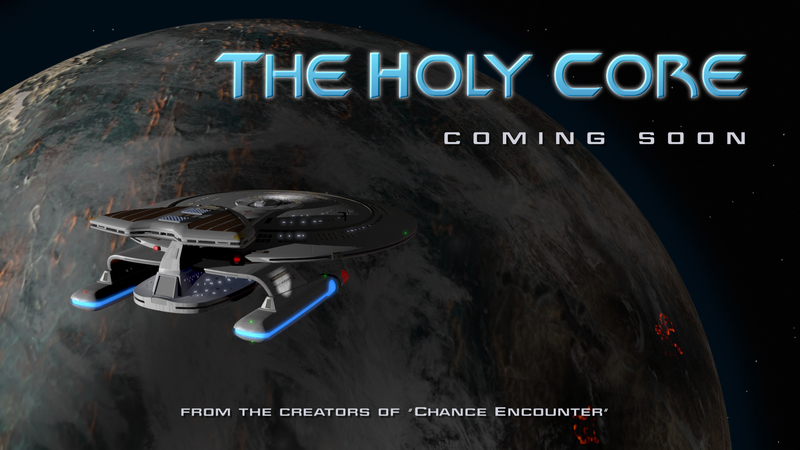 THE ROMULAN WAR extends its INDIEGOGO another 30 DAYS! With only ONE day left to go on its $10,000 Indiegogo campaign, the new fan project THE ROMULAN WAR has been essentially stuck just under $6,000. I had featured a text interview with show-runner MARK NACCARTO when the project first kicked off. At that point, the campaign had jumped out to an impressive start. And within the first 10 days, they’d generated over $4,000 in contributions. But then things slowed down and nearly screeched to a halt! The needle barely moved at all during their third week when I published an audio interview with Mark trying to figure out what was going on. Why were the donations drying up? Was it the hit of Tax Day in the U.S.? Was it the guidelines or the lawsuit from 2016? Was it just that Mark wasn’t campaigning enough? Or have fans simply hit donating a wall? It wasn’t just the normal mid-campaign slowdown. Even now, with only one day left, donations are almost nonexistent. I’d even e-mailed Mark to suggest that he might want to publicly release some of the special features (videos, ship dossiers, character background info, etc.) that had been reserved only for donors…just to excite and encourage more contributions. But time was running out! Well, apparently, time is a luxury that we once again DO have…thanks to the folks at Indiegogo! Apparently, the crowd-funding service will now let a project team extend the duration of a 30-day campaign by an ADDITIONAL 30 days…even if they haven’t reached their goal yet! 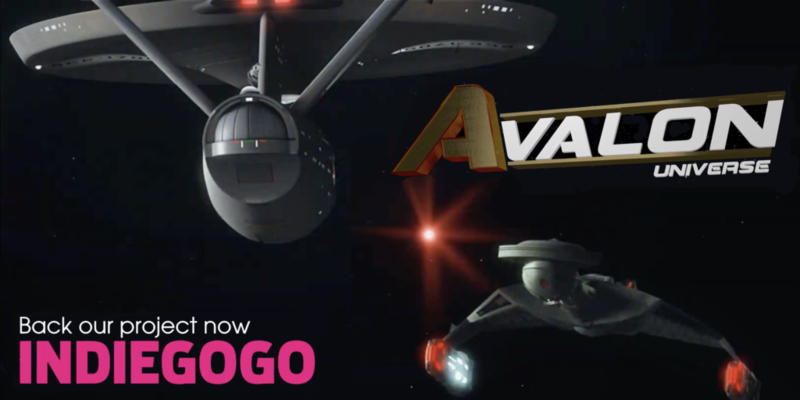 Are Star Trek fan films in danger of having the donation well run dry? It’s hard to know, but right now, things look somewhat troubling. 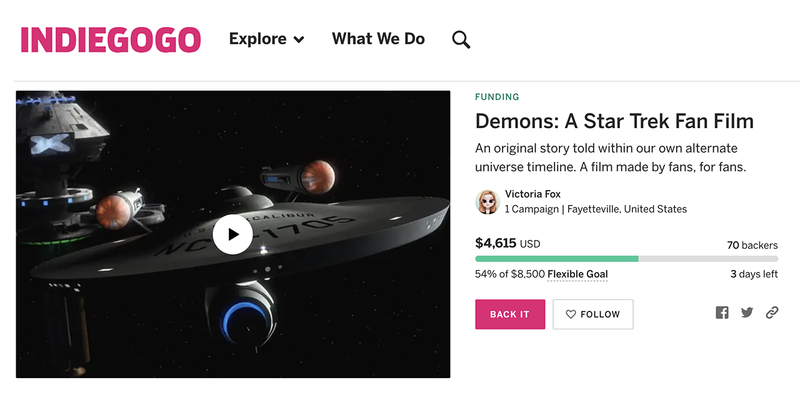 Last month, a Kickstarter for the proposed The Holy Core fan film (the same folks who produced the excellent Chance Encounter) didn’t even manage to get half way to their $12,000 goal and instead got nothing. Another Kickstarter for The Roddenberries’ new album and music video set a two month goal of $9,500 and, with only 11 days to go, is only up to $3,565. 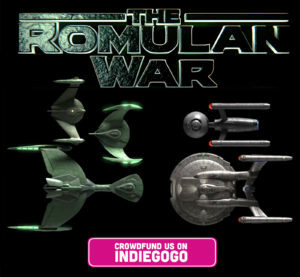 And now, THE ROMULAN WAR, an exciting new Star Trek fan project, is struggling to reach its $10,000 goal on Indiegogo. Although they burst out of the starting gate with $4,200 in less than two weeks, last week was a veritable desert of donations with only a few hundred dollars coming in over the span of six days. And this despite the fact that last Monday saw a new video posted to social media spotlighting the cast and showing some never-before-seen footage, and on Wednesday there was a cool TrekYards feature on the Romulan “Strombird” class. Fortunately, yesterday saw nearly a thousand dollars come in (not sure why, since nothing notable happened on Sunday), but they’re still only 55% of the way to their goal with just 12 days left! 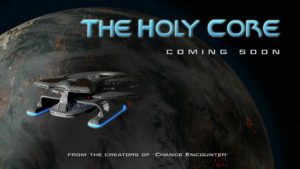 CHANCE ENCOUNTER creators announce NEW Star Trek fan film: THE HOLY CORE! I love Brits who make Trek fan films! A year ago, writer / director GARY O’BRIEN and co-writer PETER LAIGHT released their first-ever Star Trek fan film CHANCE ENCOUNTER…and fans were blown away. Superb acting, touching story, well-directed, fantastic costumes and VFX, perfect music, and even custom-built shuttlepod and turbolift sets—it’s a MUST-SEE fan film well worth 20 minutes of your time to watch if you haven’t already. This entire magnificent production was funded for just £1,862 (about $2,700) raised through a Kickstarter. And now, Gary and Peter have just announced a NEW crowd-funding campaign (coming in March) to try to raise £7,000 – £8,000 (about $10,000)…well within the $50K limit set by the fan film guidelines. We are structuring the script to split in half at the 15-minute mark, and so we are aiming for an overall run-time of 30 minutes for the story. We have yet to decide whether to make that two separate uploads of 15 minutes or not. That choice will be made much later in the process I think. As for perks, we will probably only offer wallpapers, scripts, etc. Our hope is that anyone who donates does so to see the film get made. The simpler the perks, the more money we can put on screen! This time we will touch on several themes, such as scientific pursuit, the roles of religion, and a little hint of romance, too. The new campaign will start up around March 1 and run through the end of that month. Filming will likely happen over the summer (once sets are built and cast members selected), and the finished film(s) will likely debut in late 2018 or early 2019. Obviously, a lot can happen before then, but Chance Encounter stayed pretty much on schedule all though production.